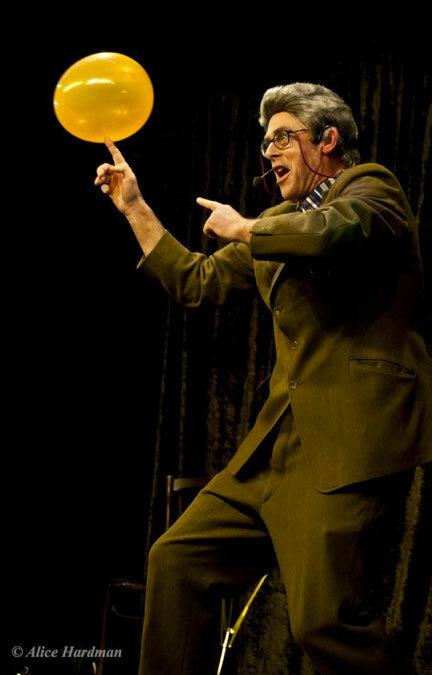 Trevor Organ's stand up comedy set can last up to 30 minutes, he mixes stories about his mum, dog and showbiz upbringing, with arcane pocket stunts involving biscuits, latex, ping pong balls and plates. The results are hilarious. 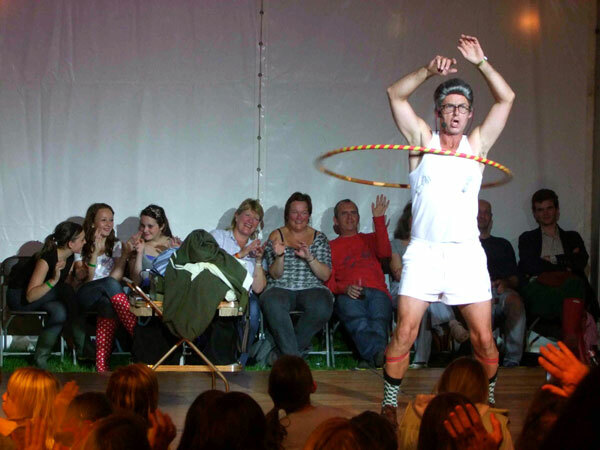 Trevor's Cracking Crockery plate spinning act is for indoor / staged venues. minimum stage size required. 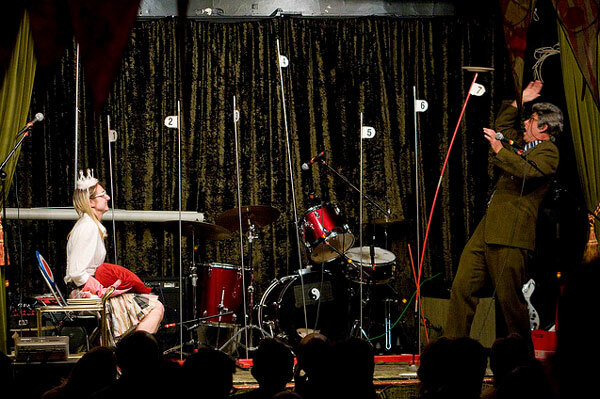 Two separate acts that can be performed combined or separate, performances can be from 20 to 40 minutes. 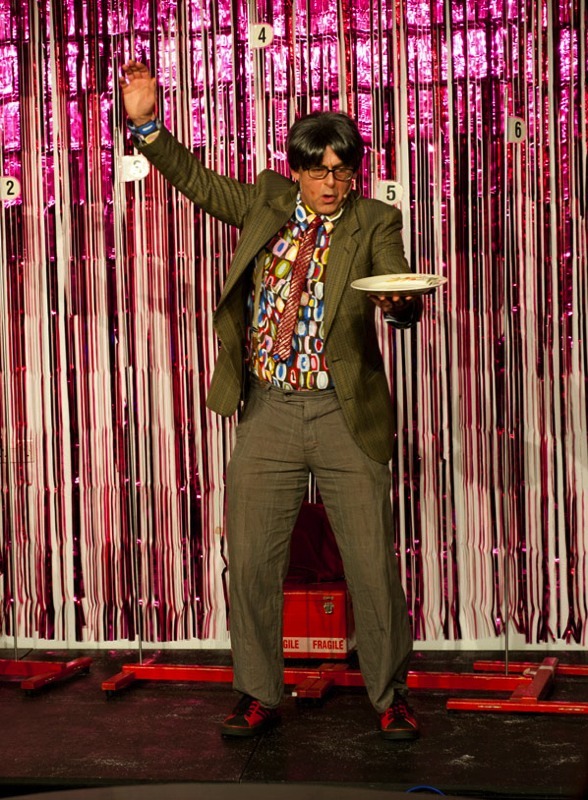 Trevor Organ's Cracking Crockery is fabulous comedy plate spinning. Real ceramic plates are spun on the poles of peril, with character comedy, skillful plate manipulation, and an edge-of-the-seat finale, this act is spectacular, exciting, and cracking in more ways than one.